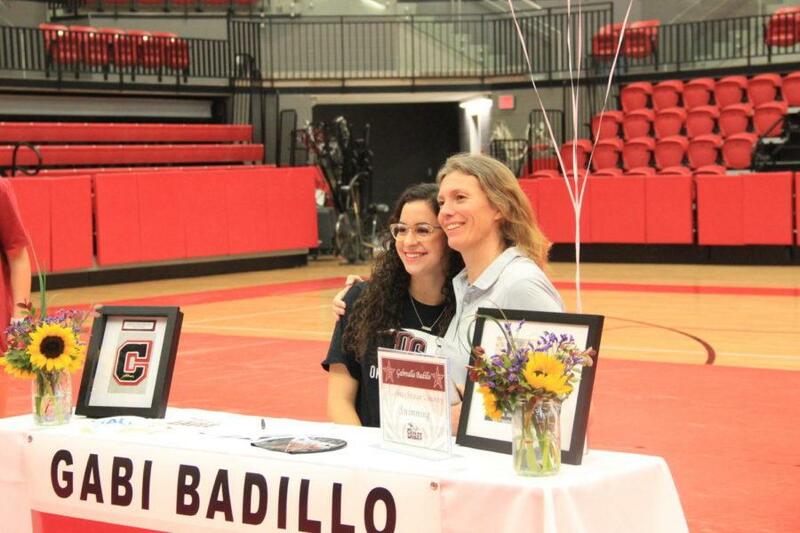 Coppell High School senior Gabi Badillo smiles for the camera with her coach after signing with Oklahoma Christian University on National Signing Day. Students are signing their letters of intent for the college they intend to play for in the upcoming year. 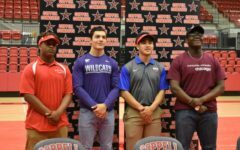 Five student athletes, in addition to their friends, family and coaches, gathered in the Coppell High School arena yesterday at 8 a.m. for National Signing Day. 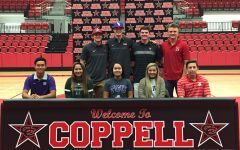 Senior Breanne Chausse signed to play volleyball at Sam Houston State University, senior Janane Tan to playing golf at University of Texas at Arlington, senior Gabi Badillo to swimming at Oklahoma Christian University, senior Courtney Anderson to playing lacrosse at Stanford University and senior Rye Gunther to playing baseball at Louisiana State University. 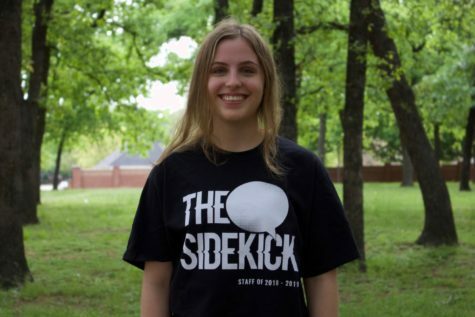 Some of the athletes have been playing the same most of their lives, while others, such as Anderson, only picked up the sport a few years ago. 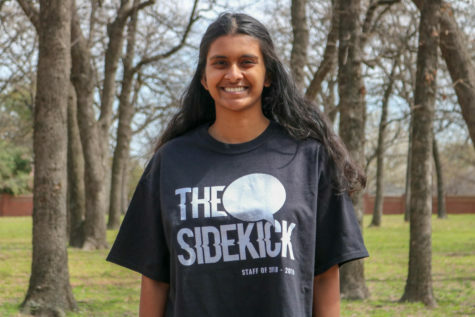 Anderson began playing lacrosse in eighth grade and got an offer from Stanford to sign two years later, during her sophomore year of high school. Despite these differences, one commonality of all the athletes who were in the arena to sign is the fact that they all worked unbelievably hard to get there. After each athlete and his/her school was announced, the athlete’s coach spoke about him/her for a few minutes, explaining what kind of player and person he/she was. One of the character traits that was repeatedly mentioned was a strong work ethic. 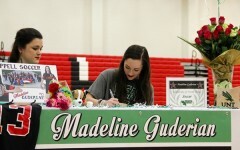 The athletes are excited to continue doing what they love in college. “[Golf] is something that I really have a lot of passion for,” Tan said. 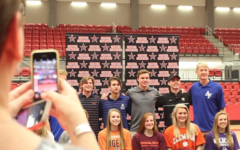 After the signing ceremony concluded, friends, family and coaches remained in the arena for a while to speak with each other and take pictures. Everyone is incredibly proud of the athletes, and are excited to watch them grow. Nearly all the athletes have at least one high school season left with their sport. They will put blood, sweat and tears into finishing their CHS athletic careers strong before moving on to excel at the collegiate level.